Are you sad about BMW’s new robotic-shark looking futurecars? Do you want to go back to a time when technological nonsense was all hot-pink neon instead of sharp and angry? Sit down, turn up, ...and hang on. Please let at least the first 60 seconds of this glorious laserfest play through, I promise you won’t be disappointed. This three-year-old video came to my attention today because notorious ’90s enthusiast and occasional Jalopnik writer Blake Z. Rong tweeted it in a thread about the Radwood ’90s car show, which is getting a sequel in southern California in December. We hope to learn more about the bright colors and wedge-shapes we’ll see at that show soon. Maybe I’ll even buy an MR2 or a Barbie Jeep in time to post up! 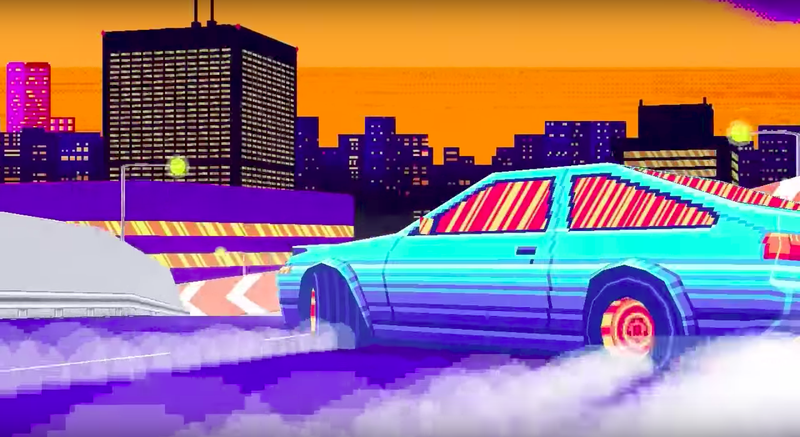 Meanwhile, the musician behind this incredible song, Hugh Myrone, has a wicked catalog of similarly righteous turbobeats that will apparently accompany a computer game called Drift Stage. Score! This looks like a lit redux of Auto Modellista (anybody remember that one?) meets Outrun drenched in hyper-saturated pastels. It’s basically the late ’80s to early ’90s, the way you remember them in your coke-addled dreams, in video game form. You can download an alpha demo of this dope game on the Drift Stage official site for Windows, Mac or apparently even Linux. Can confirm, exactly as advertised. Time to check out of work, people! Where has his joint been all my life? The game’s apparently the product of a successful Kickstarter (clearing about $57,000 of a $30,000 goal) and I’m sure if I keep digging I’ll be able to figure out where and how to download the full version. Of course our friends at Kotaku were all over it in 2014, but man, more people need to know about this. Or at least listen to it.